Reflective of Gwinnett and metro Atlanta, the Gwinnett Chamber honored nearly 150 finalist organizations, across 10 industry sectors at the IMPACT Regional Business Awards. Presented by Eastside Medical Center and Renasant Bank, and held at the Infinite Energy Forum, the awards luncheon recognized leading organizations in critical industries that are driving economic development and job creation, while enhancing our quality of life. “These organizations’ contributions enrich our community. It’s exciting to share in their success, and we are honored to recognize them,” said Dr. Dan Kaufman, president & CEO of the Gwinnett Chamber. Small Business Award Winner Holtkamp Heating & Air received the 2018 Overall IMPACT Regional Business Award. At the age of 19, a recent technical school graduate left his home state of Iowa with $20 in his pocket and a dream to begin a career in Georgia. Determined to make it on his own, he signed up for evening business classes at Emory University and created a 10-year roadmap for his small business. Fast forward to today, Holtkamp Heating & Air has been in business for more than 20 years. This HVAC company sets itself apart with consistent, friendly, high-quality service with hometown hospitality. This company has always stuck to its mission of providing a solution rooted in building science, only recommending reliable equipment, at a fair price, with a superior professional installation. AEC (architecture, engineering and construction) Award: Axis Companies Launched in 2016, this company is one of the fastest growing AEC and land development firms in the state of Georgia. Independent in ownership and attitude, it encourages outside of the box thinking, taking risks, and redrawing boundaries. Its development suite offers a unique blend of services in development, design, and project and construction management, customized to fit clients’ needs. Working with some of the biggest brands in the industry, it provides services to Arby’s, Coca-Cola, KFC and McDonald’s—to name just a few. Education Award: Georgia Gwinnett College School of Business This twenty-first century college serves as an economic engine for the community and has had a nearly $2 billion cumulative impact. For each job created on campus, there are roughly two off-campus jobs that exist due to spending related to the institution. Reflective of Gwinnett, it is the most ethnically diverse southern regional college, per U.S. News & World Report magazine. And, it adjusts to the times as well. As a result of Georgia’s film industry having a $9.5 billion economic impact in 2017, it has developed a new Bachelor of Arts in Cinema and Media Arts to prepare the workforce. Responsive to the community in which is serves, it anticipates adding a concentration in Supply Chain Management this fall, due to the Department of Labor prediction that jobs in supply chain logistics will increase 25% prior to 2020. Georgia Gwinnett College School of Business recently achieved the crowning recognition of accreditation by the Association to Advance Collegiate Schools of Business. This elite accreditation is awarded to only 5% of all business schools in the world. Healthcare Award: View Point Health Serving more than 14,000 patients last year, this organization’s vision is to build healthy lives and healthy families through high-quality comprehensive care. It provides services to individuals who need treatment to cope with addictive diseases, developmental disabilities, and mental health issues. The services it provides contribute to a reduction in crime and subsequent incarcerations, a reduction in homelessness, a decrease in the rate of child abuse and welfare utilization, while decreasing ER visits and inpatient admissions. Its influence also increases graduation rates and lowers dropout rates. Ever evolving, View Point Health is always expanding its portfolio and has recently added new programs for youth, such as the Georgia Apex Project. This school-based mental health program administers early detection of mental health needs amongst children and adolescents, while providing greater access to mental health services. Additionally, the LIGHT Early Treatment Program aims to improve the lives of youth and young adults with mental health conditions or co-occurring mental and substance use disorders, so they can become healthy and independent adults in our community. Hospitality Award: Mitsubishi Electric Classic This start-from-scratch event has truly engaged residents and visitors alike. With an annual economic impact upwards of $18 million dollars, it’s brought thousands of tourists to Gwinnett, who fill up at our gas stations, stay at our hotels, shop at our retail establishments and dine at our restaurants. The event provides exposure to Gwinnett throughout the United States and internationally, with more than 100,000 people attending over the past five years. Giving back to the community, it has been involved with 50 nonprofits and has donated more than $2 million to charitable partners. Information Technology: Halski Systems At its core, information technology reinvents itself every 18 months on average. This organization’s success is attributed to its ability to adapt to change. It illustrates innovation by providing cutting-edge services. Launched at the beginning of the year, Halski Systems offers 24/7, 365 days a year on-call service from its local office. This service has benefited users such as medical clients who work around the clock. It also allows for system updates to be installed while employees are away, increasing productivity and decreasing downtime. In addition, it started PODS, which is a team of technicians who all work on the same accounts. The user benefits greatly from this as there is a familiarity with staff, providing multiple contacts that understand the specific client’s needs. Civically engaged, this company has donated more than $60,000 to nonprofits over the past few years. International Award: Mitsubishi Electric US, Inc. Cooling & Heating Division In 1980, this organization established its U.S. division headquarters in Lawrenceville. Doubling its footprint, it expanded its headquarters by assuming a new location in Suwanee. A subsidiary of Mitsubishi Electric Corporation based in Japan, it has become one of the top manufacturers of cooling and heating systems in the world. Although it has a global impact, its local presence has created nearly 250 direct jobs at its Gwinnett location, as well as many indirect jobs. In addition, it is a company that cares. Its LOVE Philanthropy Committee focuses on children, animal welfare and beautifying the community. Recent activities have included: providing employment training and mentoring for the students of the Special Needs School of Gwinnett County, helping to socialize dogs at the Gwinnett County Society for the Prevention of Cruelty to Animals, cleaning up local parks with Gwinnett Clean and Beautiful and working with Village of Hope to provide the homeless and less fortunate with donations. Nonprofit Award: Leadership Gwinnett Leadership defines Gwinnett. It is part of its DNA and is what makes Gwinnett great. 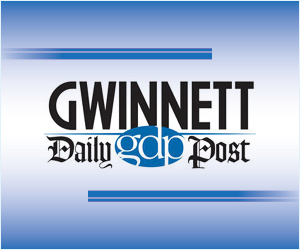 Nearly 35 years ago, a group of leaders recognized that Gwinnett was undergoing a significant transformation, transitioning from a rural, agricultural community to a more densely populated, diverse, and urban community. This group pioneered a program and selected its first class, which included Gwinnett County Board of Commissioners Chairman Charlotte Nash and Gwinnett County Public Schools Superintendent J. Alvin Wilbanks. With a mission to educate, equip, and engage existing and emerging leaders, this organization has had more than 1,500 graduates. 99% of these graduates are more likely to serve on a board and 97% are more likely to volunteer. Whether it’s mitigating the trauma of food insufficiency, reducing recidivism in our local jail, advancing the leadership skills for high school students, or supporting alumni in critical state roles for initiatives like transportation, this program serves as the vital component that brings everyone to the table. Service Industry Award: Marbury Creative Group Founded in 2010 and located in downtown Duluth, this organization is a full-service advertising agency. It is well-versed in regional, national, and global marketing, focusing on both business-to-business and business-to-consumer. Marbury’s mission to “Tell It Better” is anchored by its adherence to five core values: Have Faith, Be Creative in All Things, Be Thankful at All Times, Love and Laugh Often, and Study and Enjoy Relationships. With notable clients such as AT&T and Halyard Health, its focus areas cover banking, education, the food industry, healthcare, and professional services. This award-winning company has been recognized in just the last three years with 14 American Advertising Awards, three Aster Awards, and three Telly/Communicator Awards. It was selected as one of Atlanta’s “Best Places to Work” by the Atlanta Business Chronicle and as a “Best of Gwinnett” by Gwinnett Magazine in the marketing service sector. To receive high-resolution files of any of the photos below, please note the image number and send your request to Ken Rutherford.